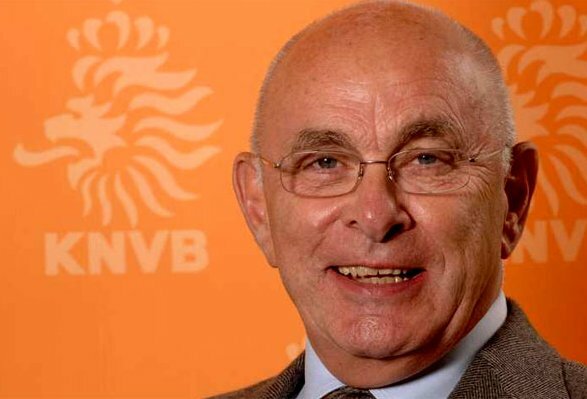 According to Goal.com, the chairman of the Dutch FA (or the KNVB if you’d prefer), Michael van Praag – that be him above – is in the process of reporting EA Sports’ FIFA 13 computer game to FIFA after receiving complaints from parents over the way players behave toward the referee in the computer game. “I responded to the request of many parents to change the way players react to referees on the FIFA PlayStation Game,” Van Praag prattled on his Twitter account. “I did so by mentioning the problem at the FIFA Associations Committee. They will deal with it. A lot of parents are annoyed by it. It’s like FIFA is teaching young kids that this is normal. The KNVB are yet to issue a formal statement on the matter. It’s probably because of the tragic events that occured late last year where a linesman died because injuries sustained after an attack by youth players. I know pies also reported on it. Most amat eur football clubs have signed decree of conduct on the behavior of players towards referees. This might be taking it a bit too far, but I understand. You do realise that a linesman was killed in Holland recently after being attacked, right? You think that maybe, just maybe, it has something to do with that? Makes total sense that someone who gets taekwondo-ed in the face would pop back up seconds later and be the recipient of a yellow card. Sure anyone who rainbows in a match deserves a beating… but no wonder players are berating the refs in this video game. Van Praag is a notorious do-no-wrong Crusader, don’t worry about it. There’s just a big fuss going on in this country following the shameful murder of a linesman. People blame football rather than focus on the real, but awkward, issues facing this country. Just going to wager a guess, may have something to do with the referee that was murdered by a youth team in the Netherlands because they disagreed with his calls. Maybe not the best way of going about it, but I can see why the president of an FA that has experienced this might be concerned that a computer game, ie media largely targeted to young persons, might be concerned about it. An overreaction, but somewhat understandable. A linesman was killed in holland recently. Think that might have something to do with it? does anyone know if any officals been killed in holland lately?